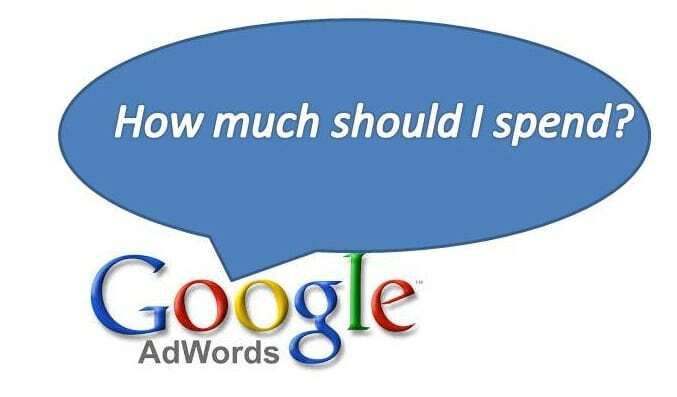 How Much Should I Be Spending In Google AdWords? One common dilemma about those who want to start their Google Adwords marketing is the amount to be spent. Below are two ways to answer the question. First option involves a test budget. If you are just starting the process, determining the cost is not easy, as you don’t know what’s going to work and what not. Results may vary after the testing mode. It’s plausible that your initial test campaign is successful with regard to costs, but proceeds with a loss or break-even condition the next time. However, your mind should not be focused on making any campaign profitable but you should have a mindset of investing in market research. With the help of initial testing, you’ll get to know, how your ad messages are resonating around the target market. Also, let you know what keywords are effective in generating maximum leads and attracting customers. Moreover, with this test you’ll be able to know which messages are generating the maximum or best response of clicks on your landing page. How much should a test budget be set? It’s easy to calculate test budget by finding the product of the number of keywords and the cost of one click with the minimum of 100 clicks. On an average, one should receive in the least about 100 to 200 clicks on a single keyword to make it work for you. For instance, for a test of 10 keywords the estimated budget should be set as $1000 to $2000 for $1 per click. In the initial test, you get a mixture of results of ads and landing pages, winning and losing keywords etc. you need to prune the results to find out the overall profitability of the campaign. Once, it’s profitable, forget about setting the budget. Now, focus on making your advertising more effective rather than profitable. An effective advertising in itself is a profitable investment. If you want to rule the advertising world, you need to focus more on ROI than on cost. Invest money on advertising in ways to capture more market share. Don’t solely focus on cost per click (CPC). Usually advertisers throw all their efforts in writing good quality ads to get cheaper clicks. It’s important to adopt the effective advertising by minimizing the costs but certainly lowering your CPC is not it should be. What you need to focus on is earning per click i.e. EPC. You can easily rule over the market, if you have high EPC. It becomes easy to fight back your competitors and eventually become the winner of AdWords game. It is calculated by multiplying the conversion rate with your customer value. Conversion rate is the percentage rate of your paying customers who click your ads. For instance, with a conversion rate of 1% and 100$ as traffic generated by average customer, your EPC will be $1. Here at Simplio Web Studio, we can help you decide on how much you should be spend on your Adwords marketing. Check out this page for more information.